BBC has released another tidbit for hungry Doctor Who fans to devour via Twitter this week. Sonic screwdriver in hand, the new incarnation of our favourite Timelord stands tall and strong in a heavily forested backdrop. Radio Times believes this photo of newly cast Doctor Who actress Jodie Whittaker, by photographer Ben Blackall, could have been taken during the series 11 “rumoured filming in Spain, earlier this year”. The image was posted by the Doctor Who Official Twitter on Tuesday but can also be seen inside the cover of the most recent issue of DWM. It is not yet clear as to what is actually going on in this photo. Is it Earth? Perhaps it is another planet or another time. 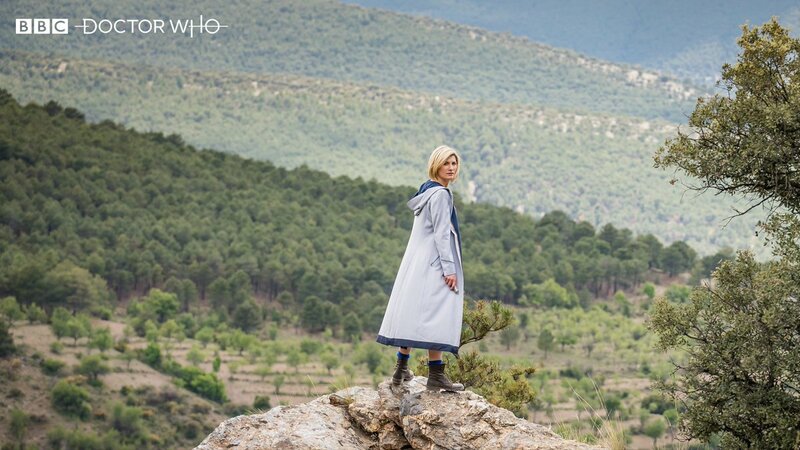 Where are the Doctor’s companions and what is she looking at? Fans are speculating about the new image with over 1,600 replies to the photo on Twitter in just a few short hours. Doctor Who will be back on our televisions for series 11 this Autumn.